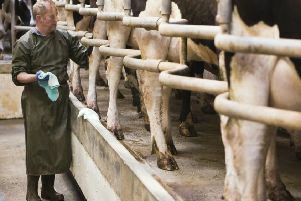 Milk supply from the world’s main dairy export regions has fallen by 2.6m tonnes in the second half of 2016, according to figures recently published by the Dutch multinational banking and financial services company Rabobank. This trend is most discernible in New Zealand and the EU. In addition, domestic demand for dairy products in the United States and Europe has continued to strengthen. As a result, global dairy prices have rocketed upwards, increasing by over 45% in the second half of 2016. Most of the demand growth in the EU is for cheese and butter. Kevin Bellamy, Rabobank Global Dairy Strategist, said that milk production around the world in the second half of 2016 was in poor shape. Other key highlights of Rabobank’s global dairy projections include the prospect of the current price rally having a continuing upside. It is predicted that milk supply growth across the world’s export regions will take time to realise, despite improving milk prices. In addition, prices across the dairy product matrix will diverge, driven by higher butterfat demand on the one hand and surplus protein stocks on the other. It is envisaged that a significant recovery of production and volumes available for export will be delayed until the second half of 2017, as the new Oceania season commences. It is also projected that China will return to the international market with Rabobank forecasting imports to rise by 20%.year on year. December saw milk output in the UK continuing to fall. Daily deliveries for the two weeks ending 17/12/2016 averaged 36.7m litres/day, 2.1m litres/day (5.4%) lower than the same period last year. Daily deliveries for this period were 0.9m litres (2.3%) lower compared with the three-year average. Meanwhile, New Zealand’s Global Dairy Trade (GDT) Price Index increased by 18% in the fourth quarter of 2016 and has risen 47% over the past 12 months.